My name is Labib Nazer. I am currently a senior studying industrial engineering. 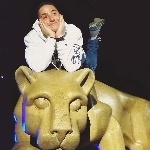 I joined THON during my junior year after transferring to University Park from Penn State Erie. Taking part of the Rules and Regulations committee has been one of the greatest moments of my life. The atmosphere of the dance marathon was enthralling and I loved seeing the impact the dance had on the Four Diamonds Families. I have decided to try to make my own impact on THON next year. 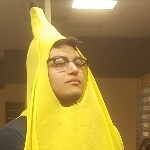 I decided to partner up with Fernando to raise money for THON 2019 and we hope to find ourselves on the dancefloor. I am planning on dancing for my Great Aunt Nuha and all the families impacted by cancer. My name is Fernando Robinson and I decided to partner up with Labib after he introduced me to how impactful and helpful THON can be to the families of children who are struck by pediatric cancers. Every student who is a part of THON can make a difference in these children's lives and I can't wait to contribute to such a beautiful cause. Every child deserves a chance to be able to follow their dreams and discover the world around them and being a part of THON is how I plan on giving these kids their chance. Since this is my last year at Penn State I want to make as large as an impact as I can to make it as memorable as possible for the kids and everyone involved in THON. Join us in our commitment to turn childhood dreams into reality by supporting THONTM. Together, Labib Nazer and Fernando Robinson, are taking action by uniting with 16,500 student volunteers and over 25,000 alumni supporters in the fight against childhood cancer. Our year-long efforts culminate in a 46-hour, no-sitting, no-sleeping dance marathon each February to celebrate our survivors, remember those we’ve lost, and take a stand--all in hopes of one day dancing in celebration of a cure. Labib Nazer and Fernando Robinson have been working tirelessly all year with the hopes of being selected to dance in THON 2019. Independent Dancer Couples are dedicated individuals who set up their own fundraisers throughout the year, and with the support of friends and family, will obtain tickets in a lottery system in the hopes of earning a spot as dancers in the Penn State Dance Marathon. With your contribution, you will bring Labib Nazer and Fernando Robinson one step closer to being able to take a stand against childhood cancer during THON Weekend 2019.